TERRIFIC OPPORTUNITY FOR ANYONE LOOKING FOR A USABLE LUGGER TUG ON THE EAST COAST! Powered by twin 800 hp John Deere Model 6125AFM75 diesel engines. WE CARE. THAT'S WHAT MAKES US DIFFERENT. FAMILY OWNED AND OPERATED! We are the friendly Boston Whaler dealer you have been looking for! Our commitment to customer service and satisfaction is unbeatable!! 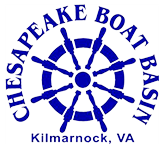 Be sure to check out our website www.chesapeakeboatbasin.com!